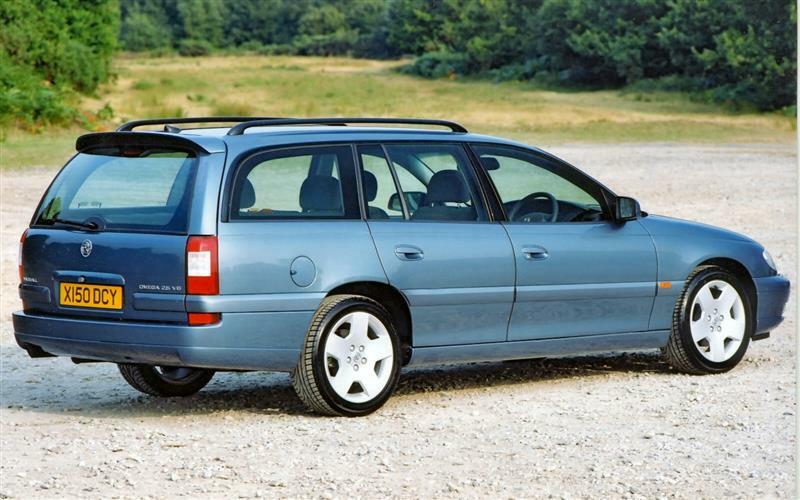 The Omega was to be the Vauxhall that BMW, Mercedes and Audi customers could buy with confidence. 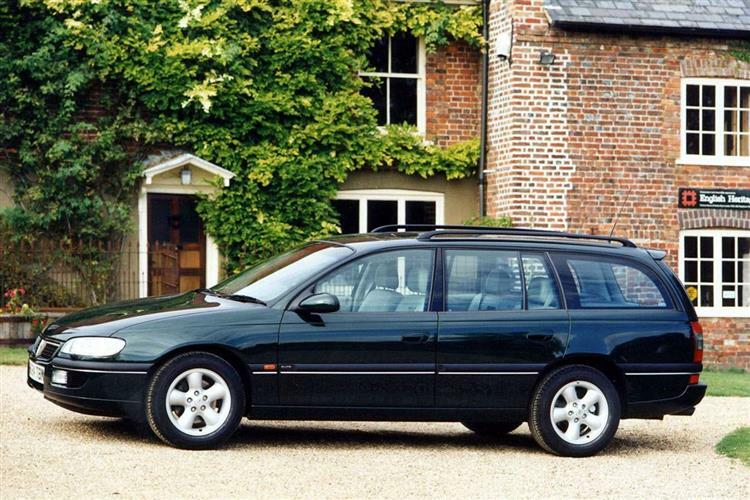 Launched in 1994, it was intended to blur the difference between mainstream executive cars and their prestige sector counterparts. And it has. Though there aren't many about on the used market, they make desirable buys. An Omega is built just as well as any rival from Bavaria, Stuttgart or Ingolstadt. 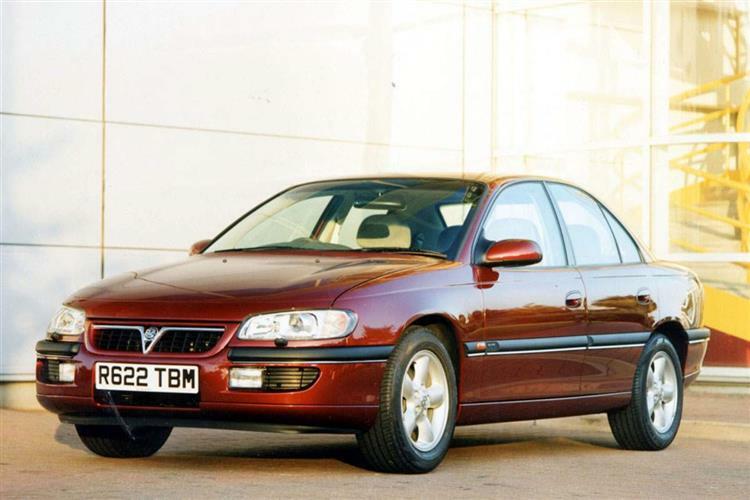 Yet market perception continues to place a lower value on that Vauxhall badge; hence the fact that a second-hand version is far better value. The Omega was launched in 1994 to replace the well-liked Carlton and Senator ranges at one stroke. Hence the wide selection of engines offered from the very start; 2.0-litre eight and 16 valves and 2.5-litre and 3.0-litre V6s. There was also a smooth 2.5-litre turbo diesel six-cylinder engine, sourced from BMW, supplemented in January 1998 by a two-litre TD, itself supplanted by a direct-injection unit in April 1999. Initial customers chose between saloon and estate bodies and six basic levels of trim; Edition S, Select, GLS, CD, CDX and Elite. 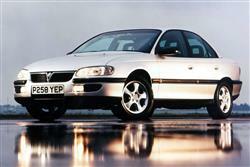 A sporty MV6 model with the 2.5-litre V6 engine was launched in 1998, as was a 2.0-litre DTi diesel version. 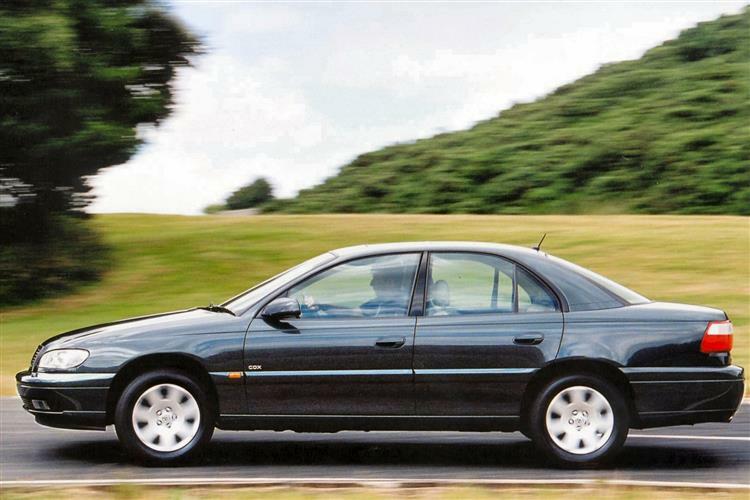 The range received a substantial facelift with revised nose, tail and interior styling plus a new 144bhp 2.2-litre four cylinder engine in September 1999. 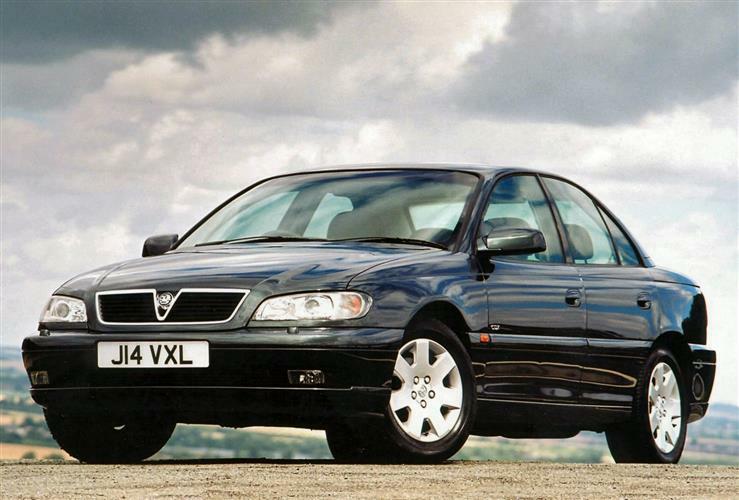 In early 2001, new engines were introduced including a 125bhp DTi turbo diesel unit borrowed from the Vectra. The 2.5 V6 was replaced by a 2.6-litre unit and in Spring 2001, the 3.0-litre V6 was replaced by a 3.2-litre unit. The entry-level 2.0-litre petrol engine was eventually dropped. 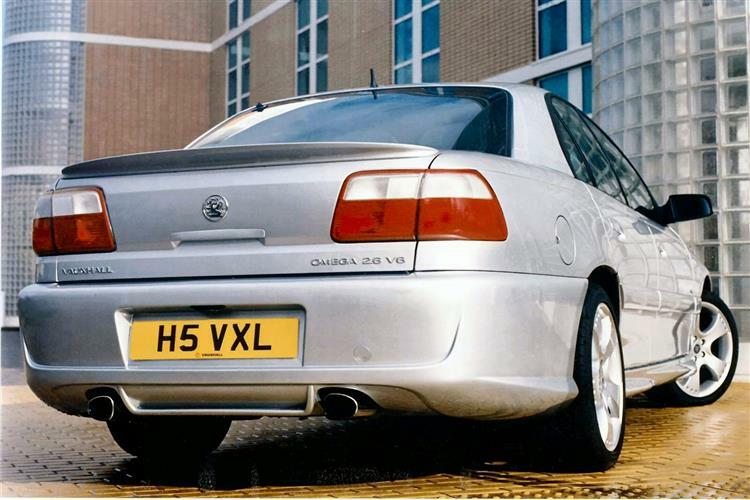 The last Vauxhall Omega models were sold in the opening months of 2004. A car that's every bit as good as German, British, Japanese and Swedish competitors; better in many respects. The ride and handling are superb and it feels as if its been built to last. It really just comes down to whether you feel there's enough character - and that badge of course. Most cars that are on the used market will have come off company fleets; no bad thing, since they will probably have been used at director level and had an easy life. Make sure that the catalytic converter is in good working condition (replacements can be expensive) for under-car knocks may have rendered it useless. Check the history and examine the state of the trim carefully to make sure that it tallies up with the stated mileage. (approx based on a 1996 Omega 2.0 SE) A catalysed exhaust system is about £430. A clutch assembly will be around £100, whilst a new starter motor will be around £75. An alternator should be close to £120 and a radiator around £160. It would cost in the region of £160 for a front headlamp and around £20 for front brake pads and £52 for rear shoes. The car really handles like a thoroughbred sports saloon, even in its humbler guises. The combination of an agile chassis and thorough development of the old Carlton/Senator suspension layout has produced remarkable results which you'll be keen to demonstrate to BMW-owning colleagues. Flat out, the car is impressively stable, giving a feeling of unflappability even at highly illegal motorway speeds. Punt it round your favourite twisty `B` road and the responses are as satisfying as you could wish for. The steering is precise and the handling is predictable and progressive that you feel that you've access to every last inch of grip. Only when you really throw the car from lock to lock that any weaknesses show through. What doesn't need altering is the ride quality. 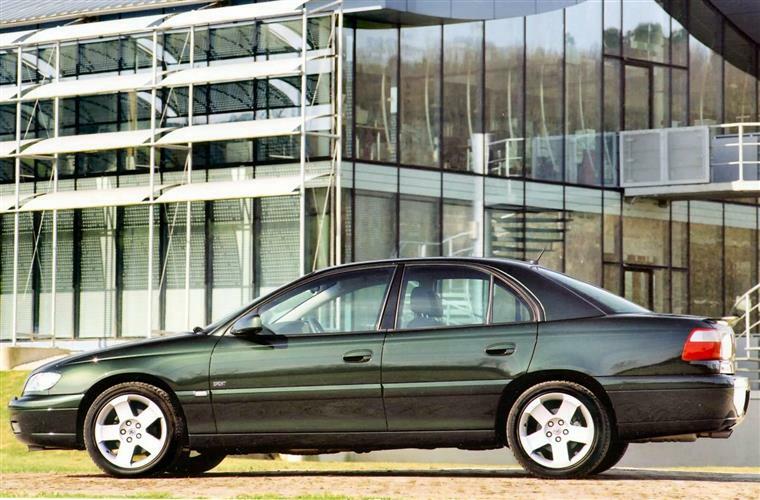 In a class noted for superbly sprung cars like Citroen's XM and Peugeot's 605, the Omega still stands out. It travels silently and smoothly over the bumpiest of roads, the springs soaking up the undulations so that they are passed through to the cabin with little more than a flutter. And performance? Well, once more, you won't go away disappointed. Even the entry-level 2.0i models manage rest to sixty in 9.3 seconds on the way to a top speed of some 130mph. Drive the car that way and you'll inevitably suffer at the pumps (to the tune of between 23-25mpg) but with a little restraint, at least 30mpg is possible. At the other end of the scale, the flagship 3.0-litre V6 'Elite' models sprints to sixty in 8.5 seconds on the way to a license-losing maximum of 149mph. Heck, even the turbo diesel makes 124mph and gets to the sixty benchmark in around 12 seconds. More importantly, it manages 50mpg - or at least it would if you could ever bring yourself to drive at a constant 56mph. 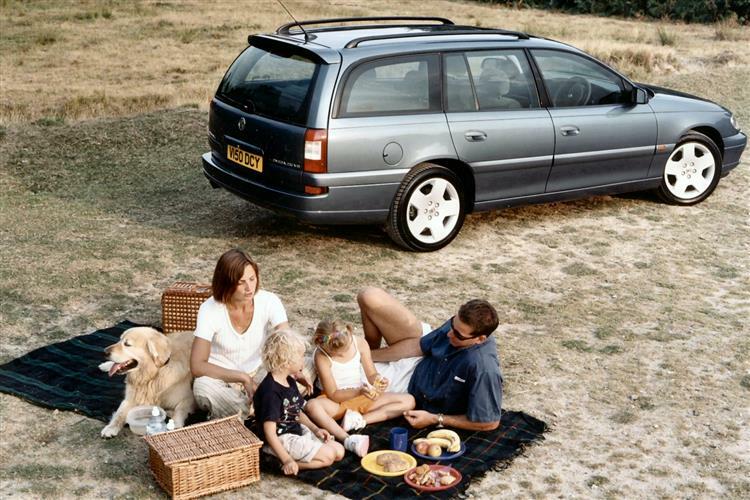 German quality, Vauxhall value. If you're looking for a top quality, modern executive, then the Omega should be very near the top of your list.